The plot thickens in this second issue of Superman: Lois and Clark, though not much happens beyond laying more ground work for the new series. This is a different kind of Superman story and one I'm glad to see being told. 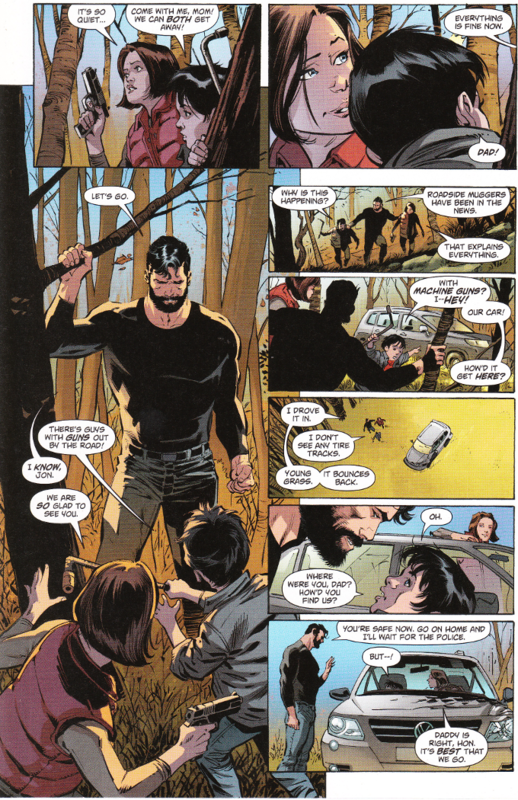 Most of the issue's focus is off of Clark Kent and set on Lois Lane, who proves as capable a heroine as ever in defending herself and her son before Clark shows up. One wonders how long they're going to try and deny their secret lives as savior of the world and investigative author to their son. This issue shows that Jonathan iss already becoming suspicious of his parents' lies... even without the hint he's discovered his super-hearing at issue's end. 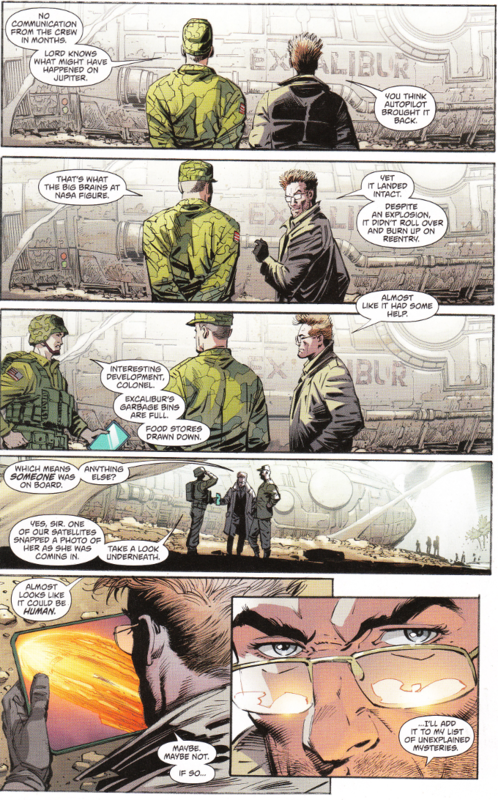 Still, the story by Dan Jurgens is tightly-plotted and riveting to read. Jurgen's script comes to life perfectly under the art team's direction. Lee Weeks' character designs look great and his pencils are perfectly enhanced by Scott Hanna's inks. And the colors by Brad Anderson are well-chosen.